It doesn't matter what the ostensible subject of these essays may be: they range from satirical ruminations on great art to the bodily humiliations of living with multiple sclerosis — as Elkin did — to a harsh memory piece about his father's job as a traveling costume jewelry salesman. The constant running through Elkin's essays is the thrill they convey of a writer actually thinking --fresh — on the page. Even the odd organization of Elkin's essays rejects pre-fab constructs. Rather than fitting into the traditional well-wrought urn shape of the thesis essay, his pieces are bulbous. And, like his literary heroes, William Faulkner and James Joyce, Elkin knew how to musically spin out a sentence — sometimes for the length of an entire page — so that the journey through the piece is as rewarding as the ending epiphany. 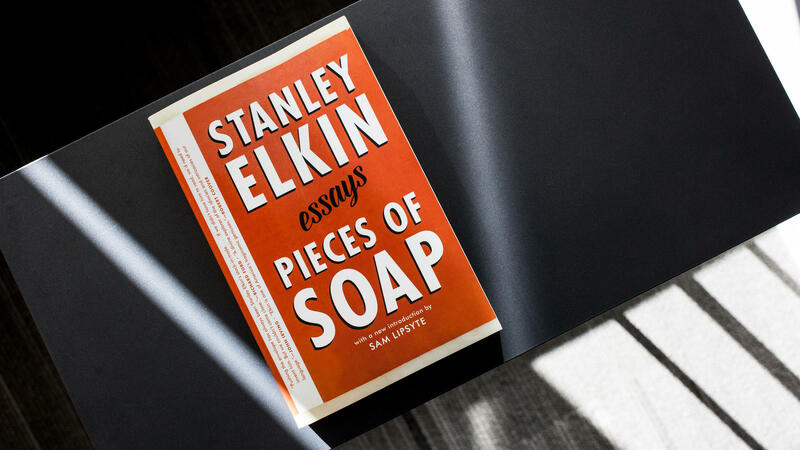 The title essay, "Pieces of Soap," which dates from 1980, is Elkin at his circuitous best: it opens with Elkin prodding a house guest — a visiting professor who's just confessed to stealing soaps from hotels — to walk upstairs with him. Elkin then shows this amateur what a real soap habit looks like: piled throughout the second floor, in baskets and hampers, is Elkins' own collection of some 5,000 or 6,000 bars of mostly stolen miniature soap. This essay would be transfixing enough if it skidded to a stop there, but Elkin isn't just trying for quirky. Instead, the final paragraphs shift into elegy when Elkin tells us that he's surrendered to time and finally begun to use the soaps in his collection; to lather up with the more expensive ones and enjoy, as he puts it, "a few minutes of four- and five-star stink." It's an off-beat and affecting vision of mortality in a bar of soap. There are so many other singular essays here, chief among them, a wince-inducing story Elkin tells against himself involving a can of coke and Hubert Humphrey in the piece called "At The Academy Awards." It wasn't until ... after I left the store, that I smelled the smells, tasted them, the napthas and benzines ... coating my mouth like sore throat, swabbing my throat like pus, stinging my eyes like chemical warfare. ... the separate impressions of laundry and literature like things bonded in genes. This is FRESH AIR. Our book critic, Maureen Corrigan, has a review of a new posthumously published collection of essays by the novelist and short story writer Stanley Elkin, who died in 1995. He won the National Book Award twice and was known for his satirical takes on American popular culture and the near impossibility of male-female relationships. Elkin was also a prolific essay writer, writing for publications from Harper's to airplane magazines. Here's Maureen's review. MAUREEN CORRIGAN, BYLINE: There's a tendency to approach a posthumous collection of work by an esteemed writer's writer with respectful courtesy. But Stanley Elkin's essays demand a rowdier response from readers. They're weird and spirited, full of literal piss and vinegar. "Pieces Of Soap" is the name of this collection, and writer Sam Lipsyte, in his introduction, rightly says that reading Elkin makes you realize how lazy most writing is. It doesn't matter what the ostensible subject of these essays may be. They range from satirical ruminations on great art to the bodily humiliations of living with multiple sclerosis, as Elkin did, to a harsh memory piece about his father's job as a traveling costume jewelry salesman. The constant running through Elkin's essays is the thrill they convey of a writer actually thinking fresh on the page. Even the odd organization of Elkin's essays rejects prefab constructs. Rather than fitting into the traditional well-wrought urn shape of the thesis essay, his pieces are bulbous. And like his literary heroes, Faulkner and Joyce, Elkin knew how to musically spin out a sentence sometimes for the length of an entire page so that the journey through the piece is as rewarding as the ending epiphany. The title essay, "Pieces Of Soap," which dates from 1980, is Elkin at his circuitous best. It opens with Elkin prodding a house guest, a visiting professor who's just confessed to stealing soaps from hotels, to walk upstairs with him. Elkin then shows this amateur what a real soap habit looks like. Piled throughout the second floor in baskets and hampers is Elkin's own collection of some five or 6,000 bars of mostly stolen miniature soap. Readers may understand the soap pilfered from vacation hotels, but without any psychological explanation, Elkin indicates his urges go way beyond souvenir hunting. Here's a necessarily edited, very long sentence from the middle of the essay where Elkin bares all. (Reading) In any of those first minutes in a hotel or an airplane, I locked myself like someone caught short, seized up with diarrhea, into the lavs of aircraft while we were still attached to the chupah or jetway or whatever it is they call that thing that connects the airplane to the terminal. I pull handfuls of hand soap from the little metal dispensers like someone scraping change from the coin return of a pay telephone, stuffing pants pockets, shirt, the inside pockets of sport coats I might not have even purchased had they not been deep enough to accommodate my special soap needs, ripping off between a dozen and 15 bars at a time on my great plane robbery raids, never taking the last few bars, leaving like a gent cat burglar's calling card these signature soaps. This essay would be transfixing enough if it skidded to a stop there. But Elkin isn't just trying for quirky. Instead, the final paragraphs shift into elegy when Elkin tells us that he's surrendered to time and finally begun to use the soaps in his collection, to lather up with the more expensive ones and enjoy, as he puts it, a few minutes of four and five-star stink. It's an offbeat and affecting vision of mortality in a bar of soap. There are so many other singular essays here, chief among them a wince-inducing story Elkin tells against himself involving a can of Coke and Hubert Humphrey in the piece called "At The Academy Awards." It's too hard to choose, so let's just end with a wayward essay about soap again, I guess. But of course, more than soap. It's called "Where I Read What I Read." In it, Elkin recalls a long-ago job he had at a dry cleaning plant. One holiday weekend, he worked a three-day shift as a watchman, and he spent it stretched out atop a wooden table, reading all of James Joyce's "Ulysses." The young Elkin finally leaves the plant on Tuesday morning, transformed. I'll let him take it from here. (Reading) It wasn't until after I left the store that I smelled the smells, tasted them, the napthas and benzines coating my mouth like sore throat, swabbing my throat like pus, stinging my eyes like chemical warfare, the separate impressions of laundry and literature like things bonded in genes. GROSS: Maureen Corrigan teaches literature at Georgetown University. She reviewed "Pieces Of Soap" by Stanley Elkin. If you'd like to catch up on FRESH AIR interviews you missed, like our interview with Issa Rae, the co-creator and star of the HBO series "Insecure," or our interview with Donald Glover, the creator and star of the FX series "Atlanta," check out our podcast. You'll find those and other interviews. GROSS: FRESH AIR's executive producer is Danny Miller. 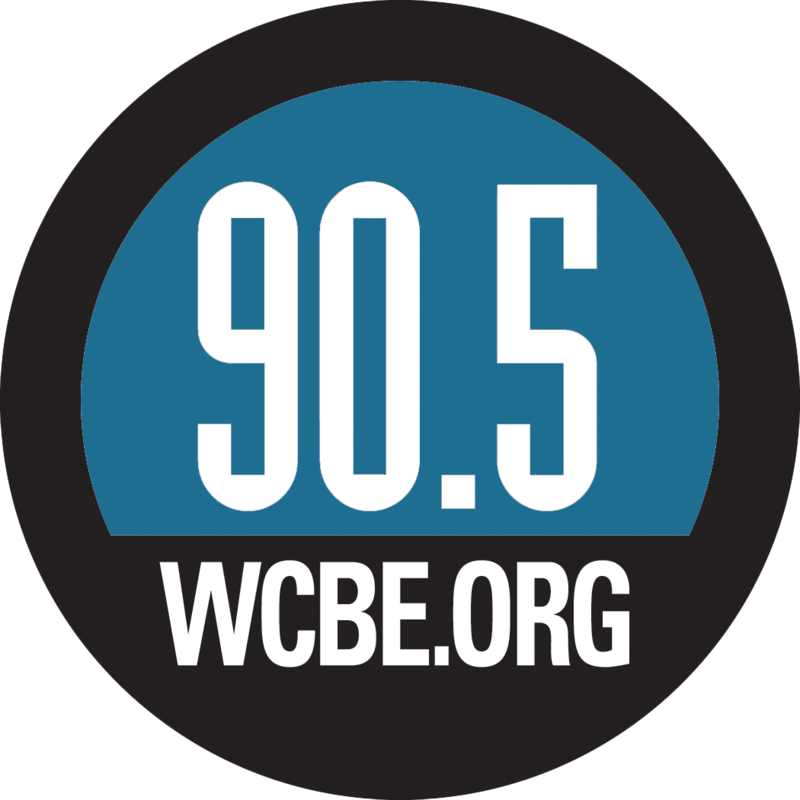 Our interviews and reviews are produced and edited by Amy Salit, Phyllis Myers, Ann Marie Baldonado, Sam Briger, Lauren Krenzel, John Sheehan, Heidi Saman, Therese Madden and Mooj Zadie. I'm Terry Gross. Transcript provided by NPR, Copyright NPR.